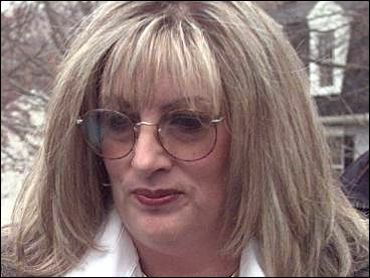 Linda Tripp, the ex-Pentagon worker whose secret tape recordings of Monica Lewinsky spurred President Clinton's impeachment, is suffering from breast cancer, her lawyers said Friday. "We acknowledge that Linda is being treated for breast cancer at this time," attorneys Stephen M. Kohn and David Colapinto said. "This is indeed a very private and personal matter, and we all hope that everyone will understand and respect her right to privacy in dealing with such a difficult challenge," the lawyers said. The lawyers declined to further discuss her condition or course of treatment, except to say that "Mrs. Tripp is demonstrating exceptional courage and personal dignity in meeting this challenge." The lawyers said their statement was prompted in part by the expected publication of a story about Tripp's condition by a tabloid newspaper. The cancer is the latest in a string of setbacks Tripp has experienced since she faded from the limelight of the Clinton impeachment case. In December, a bank began foreclosure proceedings on the Columbia, Md., home where she recorded the telephone calls with Lewinsky, the former White House intern who had an affair with Mr. Clinton. Her lawyers said she hadn't lived in the house for months, and has been out of work since she was fired from the Department of Defense as Mr. Clinton was leaving office. She has moved to Middleburg, Va.
A federal judge late last year dismissed her allegations against former Pentagon spokesman Ken Bacon and an aide whom she accused in a lawsuit of leaking private information from her confidential personnel file. Tripp's suit against the government alleging violation of the Privacy Act continues. Tripp lost her job at the Pentagon in January 2001 after she refused to resign like other political appointees on the last day of Mr. Clinton's term. The Defense Department said her termination letter was routine and that she was not singled out. Tripp earned nearly $100,000 a year as a public affairs specialist at the Defense Department's Defense Manpower Data Center in Arlington, Va. She had been in a civil service job in the White House under former President Bush before getting a political appointment, pay raise and new job at the Pentagon in 1994.